Rugged build and potent 1,200W RMS amplification. Taking Yorkville Elite powered speakers into the future with a fresh redesign, the next-generation EF15P features 1,200W continuous output from an onboard Class-D power module. 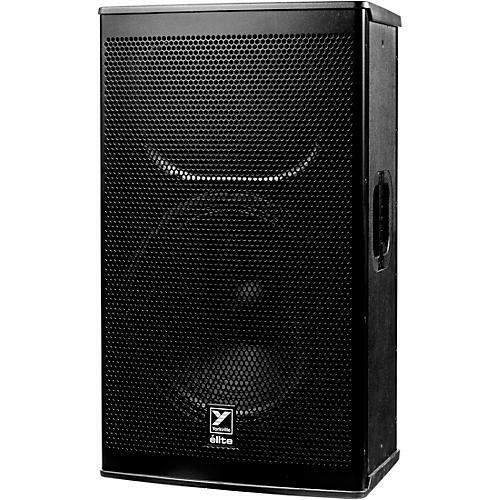 A virtually indestructible wood cabinet gives the reliability and improved sound quality to deliver rock-solid performance, gig after gig. With this redesign, Yorkville set out to create a portable, active cabinet with a single-minded focus: uncompromising front-of-house sound. A 15" low-frequency driver translates the EF15P's power into clean, accurate sound deep, while the 3" titanium-diaphragm compression driver supplies crisp, pure highs. As the largest model in the Elite Series lineup, the EF15P also provides the most robust bass response. The result is rich, full sound with an impressive maximum SPL of 133 dB.